Jacobite influences are often found in Scottish culture. Indeed, many of their stories and legends are still told today in some form or another. 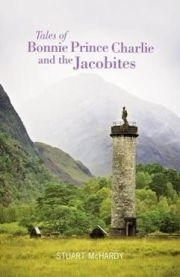 Tales of Bonnie Prince Charlie and the Jacobites is an imaginative look into the story of the Jacobites who fought to bring the Stuart Kings back to Scotland. McHardy examines the Jacobite tales to create a vivid historical picture of Scotland's Stuart past.